Hi Friends, I am back with some more exciting beauty tips for you. As we all know that shaadi season is on it’s peak and every one planning to wear traditional dresses like – Saari, Suite, Lehnga choli etc. But do you know that your look or make up is incomplete with out wearing a Bindi. A small bindi can increase your looks and if you don’t choose it wisely, it can also spoil your whole look. Surprised ? But yes you read it right, A small bindi can spoil your complete look. But you don’t worry about it now as I am going to tell you some important and quite interesting things so that you can look perfect at your special day. You should choose bindi according to your face shape. Here I am sharing, how you can choose a perfect bindi for your face. If your face is round shaped one you can wear a long size bindies to increase your appearance in any party. Vertically designed bindi are ideally made for the round shaped faces as round shaped faces are quite balanced at every point and angle. It is not like that if you having a round face then you can’t wear a round bindi. It would be better to avoid but you can definitely wear a small round bindi which is similar in size. If your forehead, cheekbones and jawline all are in the similar width, it means you have a square shape face. You can try circle and V shape bindies. These two shapes will decrease the sharpness of face and increase the look. You should avoid the wide shape bindi. If you are having a broad forehead and vast cheeks which is following with the narrow chin, you are having a hear shaped face. 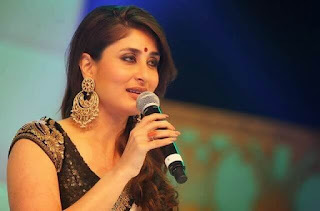 For heart shaped face you should avoid a large bindi. 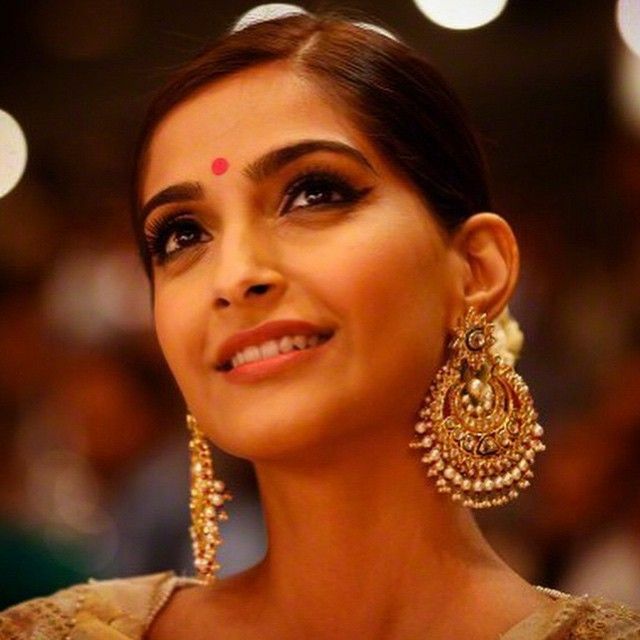 You should go for a small tiny bindi or a small tiny dot can enhance your look. A large or a bog bindi will more highlight your forehead and make it more noticeable. So try a small bindi and give a good justice to your look. If your forehead is as in similar proportion as your chin and your cheeks are commanding then your face is a oval shaped face. so here is good news for you that you can use any kind shape’s bindi and don’t need to get bother about the shape. Try to match it with your lipstick shade to look more gorgeous. A pointed chin, a small forehead and a solid and strong jawline indicates that your face is a triangular shaped face. A very big congratulations that you a lucky one who can try any type of shape in bindi’s design. 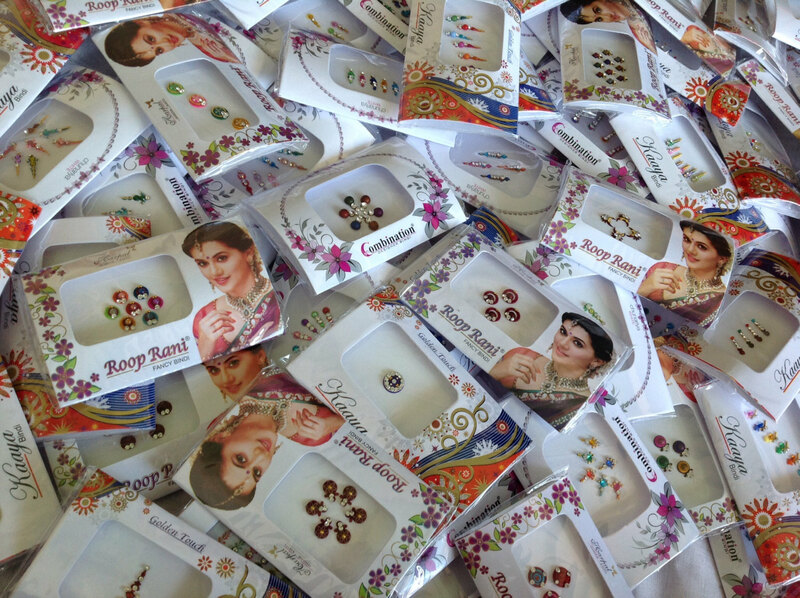 You can choose long, big size, shiny and round shape bindi too. So what are you waiting for go and shoe your Favorited style bindi and leave a never ending illusion of your look to others.